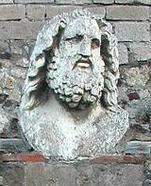 Before Vesuvius blew, in the year 79 a. 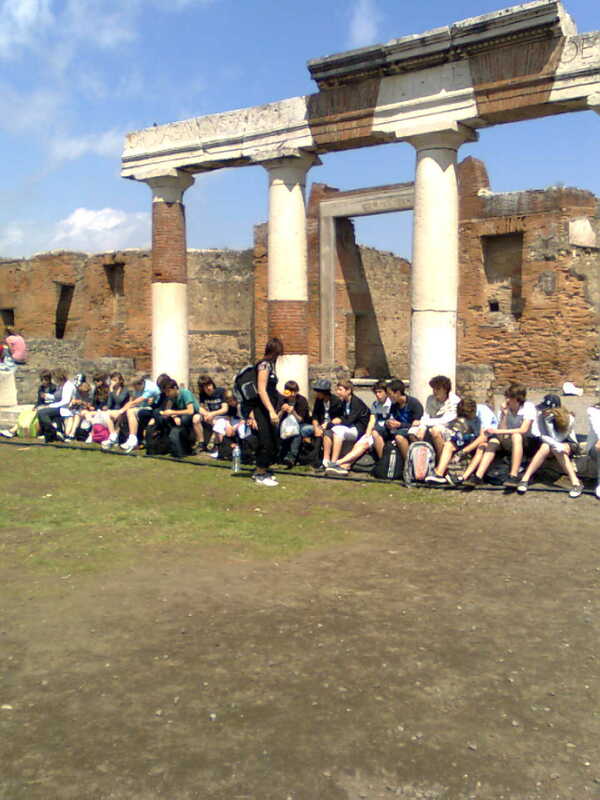 D, the sea reached the bottom of the hill on which the ancient town of Pompei was built. Close to the Marina gate, which was one of the main entrances to the city, we can still trace the harbour where the rings into the wall testify that ships were here tied to the dock. Entering the city, we will soon imagine the life of two thousand years ago. The streets were always flooded with gushing water to keep them clean, and in the middle of the road we still see the stepping stones that let pedestrians cross without getting wet. Soon at the end of the Marina street, we find the Forum square, which was the place where Pompeians used to gather and meet with merchants arriving from different countries. The forum was the center of Pompei's political and social life, and even business took place in it: shops, temples, the courthouse, the city hall, the markets and all the most important buildings surrounded it. Walking along the streets, where tracks of sliding doors are still visible, we will soon make a journey into the past. We will visit houses, thermal bath complexes, the famous “lupanare” (the brothel), the bakery, the theatre where the acoustic is still perfect as it was two thousand years ago. It will surely be an exciting experience. Please wear appropriate clothing for outdoor activities and comfortable shoes for walking on uneven, cobbled paved road.